As you may have seen me mention in the posts of some of my previous baking ventures such as this Easter Hot Cross Bun Bread or this Vanilla + Matcha Green Tea Bread, I’m not naturally a baker by nature. When I first became interested in cooking, I was a teenager wrapped up in a ‘strictly healthy foods only’ mentality. Traditionally, baking is not a branch of cookery renowned for it’s diet friendly recipes, so I gave it a wide berth. This meant never really bothering to dip my feet in the waters of all those beginner’s baking recipes- sponges, cupcakes and muffins never received my attention (or affections), and anything more advanced? Nope. It wasn’t until years later that I left behind my fear of unhealthy foods and adopted an ‘everything in moderation’ mentality- a la the IIFYM diet. But, as with anyone’s journey from disordered eating to a place of balance, it took time. So it wasn’t surprising that I didn’t immediately put on my apron and venture over to the world of sweets and pastries. Don’t get me wrong, I would treat myself to something sweet every now and again (almond croissants, I’m looking at you) but it never occurred to me to actually make any of it myself. But what’s all this leading to, eh? What has it got to do with this heavenly little slice before us? Well, it was just my way of saying that I didn’t have any idea what I was doing when I made this cake due to my aforementioned lack of baking experience but it turned out AMAZINGLY so I guess I must have the baking gene lurking around somewhere in my DNA after all and for goodness sake let’s all have a nice slice of cake to celebrate!!! One thing I have always been totally on board with, is anything lemon flavoured. Oh goodness me, I just love it. Bring a lemon flavoured dessert to a garden party and there is a 99.9% chance that I will be all over it. Do you remember those Swizzles lollipops you’d get at parties as a kid?? They came in strawberry, orange, blackcurrant, and lemon flavours and were all bizarrely packaged in the same strawberry patterned wrapper. Well, whilst the other kids all migrated to the strawberry and blackcurrant, I’d be first in line for the lemon. Lemon meringue pie came next. Out it came at special family dinners, my mind racing with excitement as it was set down on the table. Then lemon curd. Memories of my dad slathering big gloops of its sweet, tart deliciousness over his morning stack of toast. Next, lemon drizzle cake. Oh, the list goes on, but most recently was my discovery of the lemon polenta cake. Polenta, as in, GLUTEN FREE. And lemon polenta cake as in, DELICIOUS GLUTEN FREE CAKE FLAVOURED WITH LEMONS. The thing is, once I realised I was super into baking, I sort of decided to bypass all the beginner stuff and go straight into experimenting with healthy ingredient substitutes and unusual flavour combinations. So of course the lemon polenta cake became the lemon, coconut and olive oil (polenta) cake with lemon rose water syrup, desiccated coconut and freeze dried raspberry sprinkles. IT TASTES ABSOLUTELY BEAUTIFUL. And it looks so pretty I wanna cry. If this cake was on tinder, I would totally swipe right. The flavours go together like a dream and the olive oil used in place of the traditionally used butter lends the most amazing moistness to the cake. Basically: YOU’VE GOT TO TRY THIS. My first major baking milestone denotes that EVERYONE MUST EAT CAKE. It’s the rule! A gluten free spin on the lemon polenta cake, this contains a delicious combination of lemon, lime and coconut. A tropical and summery winner! Begin by preheating your oven to 170°C/150°C fan. Grease a round 10inch cake tin and set aside. In a large mixing bowl, mix together the dry ingredients (polenta, ground almonds, desiccated coconut, baking powder and caster sugar). 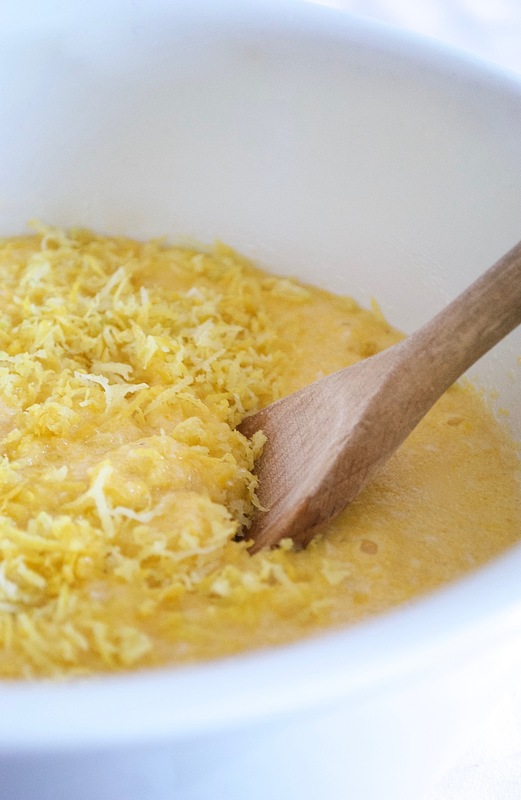 In a second bowl, beat together the wet ingredients (eggs, olive oil, honey, lemon juice, lime juice, lime zest and lemon zest). Pour the wet ingredients into the dry ingredients and stir slowly but thoroughly until just combined. Be careful not to over-mix! Pour the combined mixture into your greased cake tin and pop into the middle of the oven for 25-35minutes or until a knife can be inserted and taken out of the middle of the cake clean. Remove the cake onto a cake stand and leave to cool while you make the lemon syrup. Pour 15ml of boiling water into a saucepan along with the caster sugar, lemon juice and rose water and heat on high until boiling and starting to thicken. Remove from the heat and drizzle evenly over the top of the cake. Finish by scattering some freeze dried raspberries, desiccated coconut and the remainder of the lemon zest over the top. Ps. So sorry this post is a day late! I’ve been having some MAJOR issues with uploads since the new WordPress site updates- but we’re all good now! « Peanut Butter and Jelly Overnight Oats!